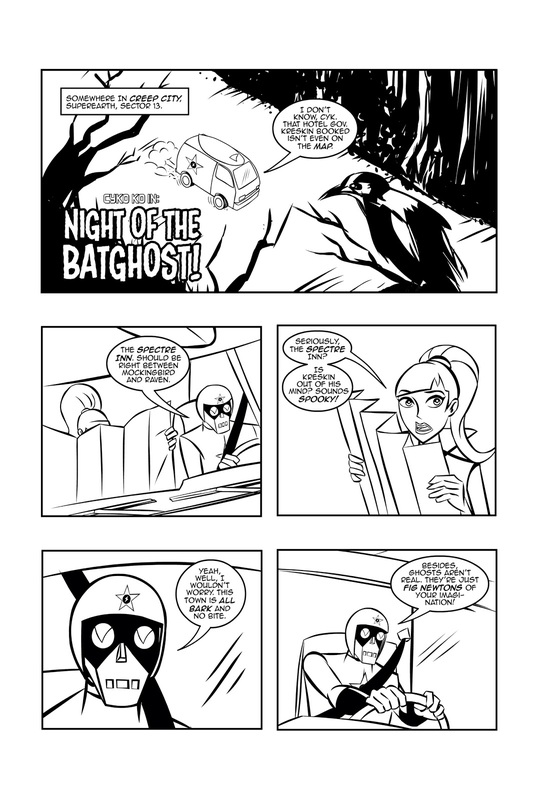 Fellowship Previews: In His first Ever Graphic Novel Coloring Book, Cyko KO Doesn't Just Break the Fourth Wall -- He DESTROYS it! 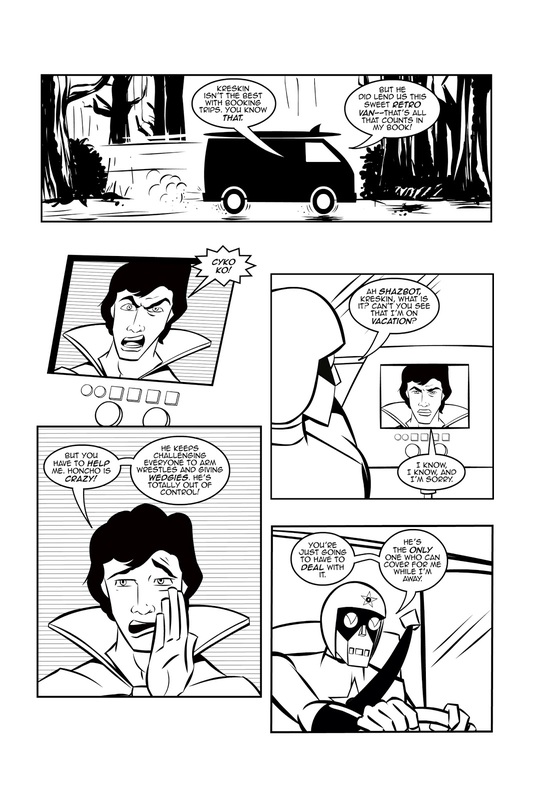 In His first Ever Graphic Novel Coloring Book, Cyko KO Doesn't Just Break the Fourth Wall -- He DESTROYS it! Ever wonder what Deadpool would be like if he was created by Hanna-Barbera? Well now you don't have to! 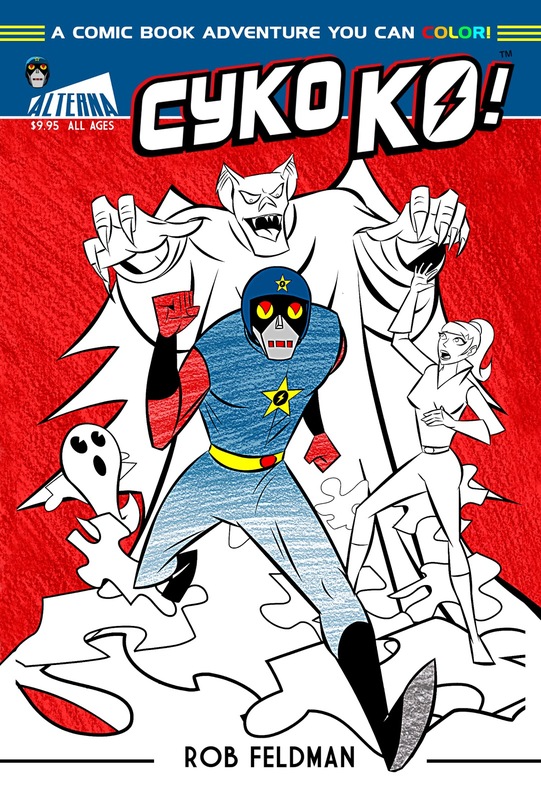 Based on the animated comic created by Rob Feldman, Cyko KO stars in his first ever graphic novel coloring book loaded with insane activities and crazy fun for the whole family...! 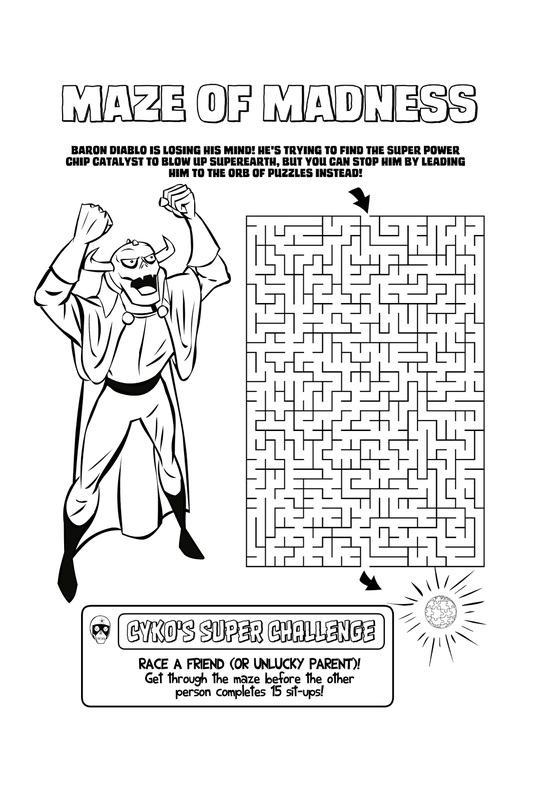 This is a true activity book that'll take a genius level wit* and superhuman strength* to complete! Challenge your friends! Challenge your family! Challenge random strangers** if you do not have friends or family! *Disclaimer: you do not need to be a genius or a superhuman to enjoy this book. **Disclaimer: only talk to strangers that you're friends with. 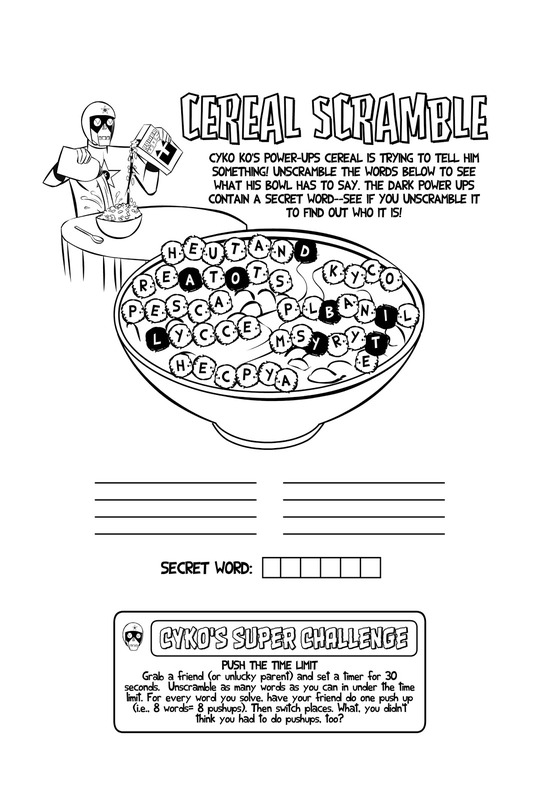 Filled with 64 pages of awesomeness, Cyko KO: A Comic Book Adventure You Can Color! also includes perforated pages for easy display and coloring!